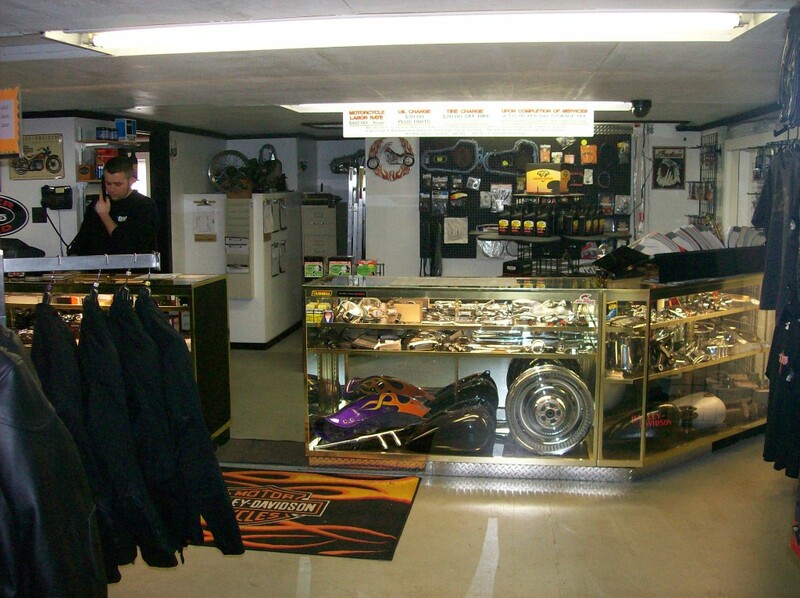 We have a showroom full of tires, brakes, chemicals, chrome parts and accessories to suit your needs. We are a dealer for Parts Unlimited / Drag Specialties, Biker’s Choice, Midwest, and V-Twin / Tedd Cycle. Parts offered for H-D and metric bikes, and most special order parts are only a day away. Stop in anytime, or call and we’ll be happy to help you find whatever it is that you’re looking for.